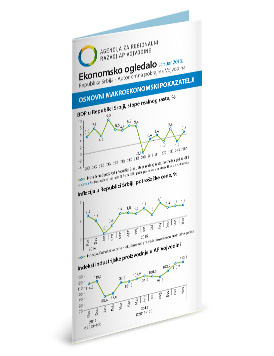 Business Barometer represents an analysis of subjective opinions of entrepreneurs on current and future state of the economy, which helps to determine a pattern of economic changes and create a framework for forecasting and directing economic activities in the future. When analysed by individual sectors, a positive current business climate and expectations of future business are observed in the sectors of Manufacturing, Construction, Wholesale and retail, repairs of motor vehicles and motorcycles, Agriculture, forestry and fishery, Professional, scientific, innovative and technical activities and Information and communication. 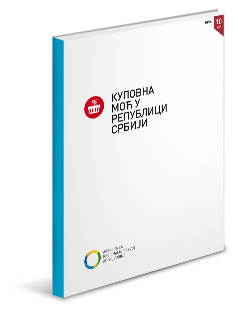 Furthermore, the most positive current business climate is expressed with the Business Barometer coefficient of 74.7 in the sector of Wholesale and retail, repairs of motor vehicles and motorcycles, whereas the most optimistic evaluation of the next six-month business activities is recorded at the level of the Information and communication sector, amounting to 97.4. Observed at the aggregate level, the surveyed entrepreneurs in the AP Vojvodina expect positive business results in the next six-month period, based on their attitude that positive business activities with foreign clients will be established, the selling prices of their products and services will have a positive trend, and that in the following year there will be a growth in the number of employed persons at the level of their enterprises.